Compensation and benefits policies and practices are a reflection of how an organization views the importance of its human capital. We have extensive experience in developing tactical and strategic programs such as pay structures, benefit plans, merit review processes, market studies, and bonus plans that are competitive with the market place. Ensure your ability to attract and retain top talent and ultimately the success of your organization. Developing and administrating your compensation, benefits, recognition and rewards programs take expertise and additional resources. We have the expertise to develop total rewards programs that have motivated employees and allowed organizations to exceed their goals. Understanding the market place and how competitive your compensation and benefits programs are is critical to the success of any organization. We are studying compensation trends continuously and have experience in competitive total compensation analysis. Let HRHC assess your programs. In todays global competitive environment this knowledge is imperative and is the foundation of a competitive total rewards program. Designing your organization’s compensation pay structure is the foundation of your total rewards program and can enhance your ability to attract and retain top talent. We develop or modify pay structures to ensure competiveness and internal equity that will comply with pay equity legislation. Up to date, accurate and thorough job descriptions are one of the foundations of your human resources systems. We have developed hundreds of job descriptions that clearly state skills requirements, desired competencies and behaviours, job duties and responsibilities for executive, senior management and mid-management levels. Executives have 10 times more influence on an organization’s results than a middle manager and 100 times more influence than a front line worker. The importance of having the right people in these positions is vital to the success of your organization. 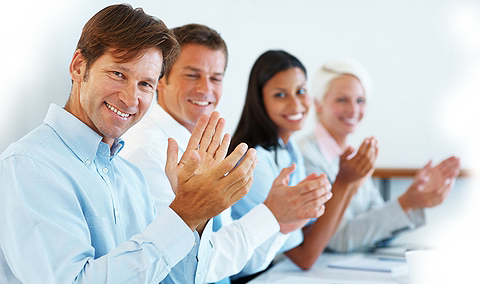 We design and modify competitive total rewards programs for executives and senior managers.